Blockchain is a relatively new algorithmic concept that has been launched in 2008 by “Satoshi Nakamoto” (not his real name) in order to support the “bitcoin” idea. But what is that bitcoin protocol media and people have been talking about lately? decentralized: no authority is controlling or owning the protocol. The whole algorithm relies on the concept of transferring digital objects and making sure that they are not duplicated. Which has been one of the biggest issues since the inception of the Internet, where money, documents, identity and more, can be duplicated or falsified (e.g. think of fake credit cards nightmare for e-commerce owners). The blockchain algorithm makes each of the exchangeable resources scarce. Concretely, it means that if you need to transfer an ID to someone, you cannot transfer that same ID a second time or keep a replication of it. It will automatically be transferred and only accessible to the person that received it. Same for a coin… here comes the Bitcoin (BTC). If you still have trouble understanding the blockchain technology, here is a quick video that should help out. Although it might not be straightforward, blockchain is a revolutionary concept. In fact with the right use, it should impact every industries. I could list many more, but this infographic by Crowd Companies will give you an idea of the many opportunities. However, my true field of interest here is marketing, so let’s see how blockchain can help us, marketers. The first principle the blockchain technology implies is transparency. Today, if for instance, a customer wants to access a service, he will pay a company, which will give them access to that service. The transaction modalities are self-evident since if one of them does not respect the tacit (or proper) established contract, the other can legally ask for payback. However, a third party is still involved: the judicial system, which guarantees the sale and in case of conflict can arbitrate between the parties. Now, let’s say that this said-third party is an algorithm? How can an algorithm verify the trustworthiness of the information provided? This is where the blockchain brings transparency. It enables each user to access the data regarding every transaction that have ever been made on the blockchain. It means that you are able to trace every $ going out of your account. So we would know exactly which of the two parties have not respected their part of the contract. As professional digital marketers, you will relate when I’ll tell you that one of the biggest daily challenges we are facing is to track our effectiveness online. How can one measure accurately its return according to the time and money spent? 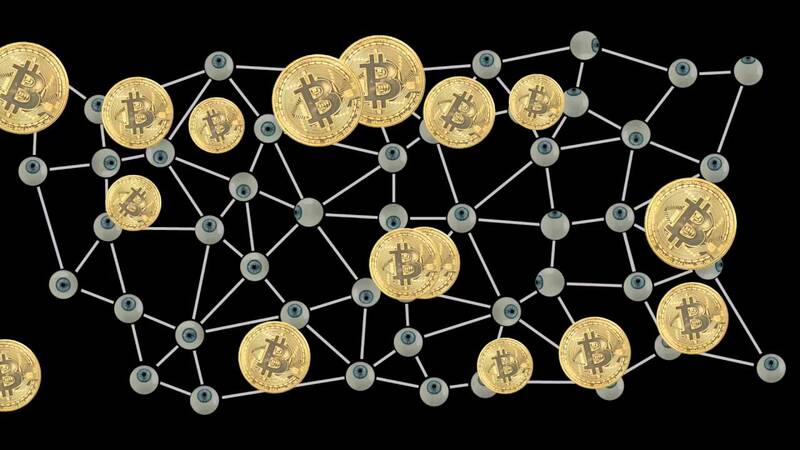 Blockchain can be of great help regarding marketing ROI and performance monitoring. As previously mentioned, the blockchain’s transparency will enable marketers to precisely follow each of their customers’ activity, and the use of every bitcoin (or any cryptocurrency) they will release. When before you would invest $1,000 in SEA and get a big picture of your keywords conversion rate, you would now be able to figure out which of these 1 000 x $1 keyword brought you the best ROI, and so do more of the same. Similar reflexion goes for on-site behaviors. While some tools already allow you to have a pretty accurate vision of what is happening on your site, apps, platform etc., you still have a hard time exactly knowing which details made you cash in. Blockchain would probably allow a better tracking of users behaviors and help improve engagement. As transparency goes both ways, your customers will also be able to evaluate the transactions and determine whether or not you are worth their trust. The companies working the hardest will therefore earn more credit on their work, than those who deliver poor service for a high price. When a party is habilitated to achieve a transaction between two other parties, that intermediary is enabled to do whatever it wants. Whether it is a real-estate agency setting up its own commission or a social network gathering up money from data collection from its users. Every time one is empowered to monitor a transaction, one is enabled to make as much money as they want. We can expect that with blockchain technologies, users will be more in control of their own data, and can decide if they want to “sell” or not their data, and at some point even get paid for them. writes Charlotte Rogers. Indeed, not only does the algorithm defines all resources as scarce and unique, but it also allows a powerful anonymity among the system. Defining a limited number of resources (whether it is money, contracts, etc.) limits transactions to the available products, which everyone has knowledge of, since the data is saved and accessible from every part. Though, hacking becomes much more complex, since hacking the blockchain would mean hacking into each computer using the blockchain (hundreds of thousands, even millions?) at the same time. The major fraudulent issues companies like Google, Facebook, or Twitter have had with fake views, clicks, followers, or even accounts, could now be avoided thanks to the unicity of each “objects” within the blockchain. Imagine that the value of a view or a click will be based on the “online identity” of the user, and no more on some approximate targeting. Keeping in mind that everything is transparent among the blockchain, scams can not be undertaken as easily as before. For example, having false credit cards purchase online won’t be possible. The traceability of each digital object within the blockchain will make it impossible to create a new one out of nothing. Of course, risks will remain but they mainly will come from “human factors” such as typing a wrong address or not creating and storing password in a secure way. Fraud and scam, which are major issues for marketers, will thus not be a problem anymore. We start to see startups emerging in this field of “blockchain applied to marketing”, such as Adtoken or BAT. Operating from two different perspectives, they both are offering “solutions for the digital advertising ecosystem”, as explained in this Medium article. Limits of the blockchain often mentioned are ones that will most likely be overcome with the growth of the technology. Indeed, blockchain is still a relatively new concept only tried out in a handful of sectors and companies, that had existed for less than 10 years now, but still driving the world crazy. The blockchain is not just “a better version of the Internet”; it is probably the basis of our future social, economic and political systems, and it should transform our lives and jobs even more than Internet itself. Hopefully, the blockchain does not appear as a blurry or distant concept anymore, and you have an easier time linking it to your pro or personal life. Up to us now to develop concepts and tools to be better Marketers using the blockchain. Any prediction on how the blockchain can empower your marketing?